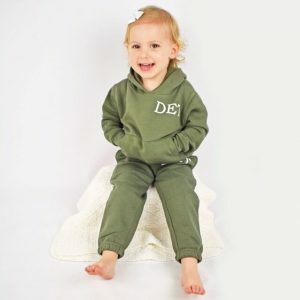 Monogrammed Lounge wear never looked so cute than with our adorable Personalised Khaki Baby & Toddler Tracksuit, that includes a fleece hoodie and jogger bottoms for ultimate comfort for your little one. 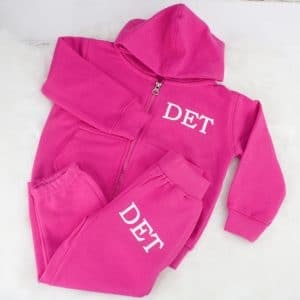 To personalise, simply type the initials you wish us to print onto their new tracksuit and select the colour below! 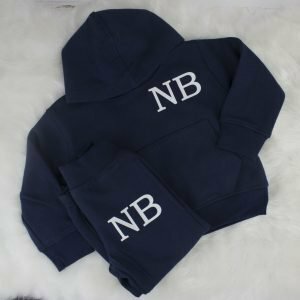 Monogrammed Lounge wear never looked so cute than with our adorable Personalised Navy Baby & Toddler Tracksuit, that includes a fleece hoodie and jogger bottoms for ultimate comfort for your little one. To personalise, simply type the initials you wish us to print onto their new tracksuit and select the colour below! 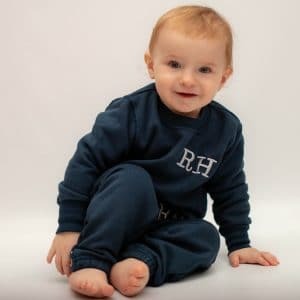 Lounging never looked so cute than with our adorable Personalised Navy Baby/Toddler Tracksuit, made from 100% cotton and ethically sourced this 2 piece tracksuit is the ideal addition to every little ones wardrobe. To Personalised, simply type little one's initials into the personalisation box below and select the colour you wish the text to appear! 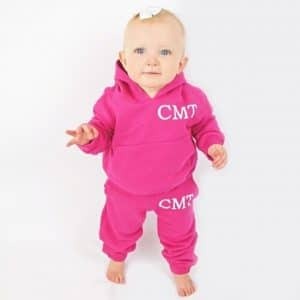 Monogrammed Lounge wear never looked so cute than with our adorable Personalised Pink Baby & Toddler Tracksuit, that includes a fleece hoodie and jogger bottoms for ultimate comfort for your little one. 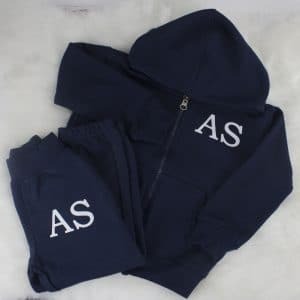 To personalise, simply type the initials you wish us to embroider onto their new tracksuit and select the colour below! 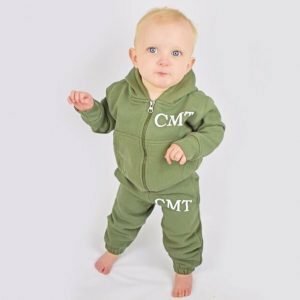 Lounging never looked so cute than with our adorable Personalised Pink Baby/Toddler Tracksuit, made from 100% cotton and ethically sourced this 2 piece tracksuit is the ideal addition to every little ones wardrobe. To Personalised, simply type little one's initials into the personalisation box below and select the colour you wish the text to appear!